Cyprus (Greek: ????? ?, Turkish: K?br?s) is an island in the Mediterranean Sea, south of Turkey. After Sicily and Sardinia, Cyprus is the third largest island in the Mediterranean Sea. It is geographically part of Asia. There are three politically distinct areas in the island: the Republic of Cyprus (a member of the European Union) is a state with wide international recognition. However it only controls territory in the south. The Turkish Republic of Northern Cyprus is a separate country, though it receives diplomatic recognition only from Turkey. The British military sovereign base areas of Akrotiri and Dhekelia, while legally separate from either republic, have open borders with the Republic of Cyprus. Note that Cypriot cities have a variety of historical spellings and writings, all in fairly common use, and which change according to the context, whether it be Greek Cypriot, Turkish or English. The following list emphasizes traditional English spellings, that will most often be encountered by the traveller. 3 Lefkara (Greek: ???????) – The Lace village, in the foothills of the Troodos Mountains, a charming little town with lots of character, in the heart of Cyprus. Cyprus gained its independence from the United Kingdom in 1960. Despite a constitution which guaranteed a degree of power-sharing between the Greek Cypriot majority and the Turkish Cypriot minority, the two populations – with backing from the governments of Greece and Turkey, respectively – clashed vehemently in 1974, with the end result being the occupation of the northern and eastern 40% of the island by Turkey. In 1983, the Turkish-held area declared itself the "Turkish Republic of Northern Cyprus". So far, only Turkey recognizes the TRNC, while all other governments and the United Nations recognize only the government of the Republic of Cyprus over the whole island. The UN operates a peacekeeping force and a narrow buffer zone between the two Cypriot ethnic groups. Fortunately, open hostilities have been absent for some time, as the two sides (now with the growing involvement of the European Union) gradually inch towards a reunification of some sort. Temperate; Mediterranean with hot, dry summers and cool, wet/ snowy winters. Central plain with mountains to north and south (often used for skiing); scattered but significant plains along southern coast. Cyprus is divided between two distinct cultures of Greek and Turkish Cypriots. Cyprus is committed to implementing the Schengen Agreement although it hasn't yet done so. For citizens of the European Union (EU) or European Free Trade Area (EFTA) (i.e. Iceland, Liechtenstein, Norway and Switzerland), an officially approved ID card (or a passport) is sufficient for entry. Other nationalities will generally require a passport for entry. Travel to/from any other country (Schengen or not) from/to Cyprus will result in the normal immigration checks, although customs checks will be waived when travelling to/from another EU country. Inquire with your travel agent or with the local embassy or consulate of Cyprus. Cyprus' main airport is 1 Larnaca Airport (LCA IATA). 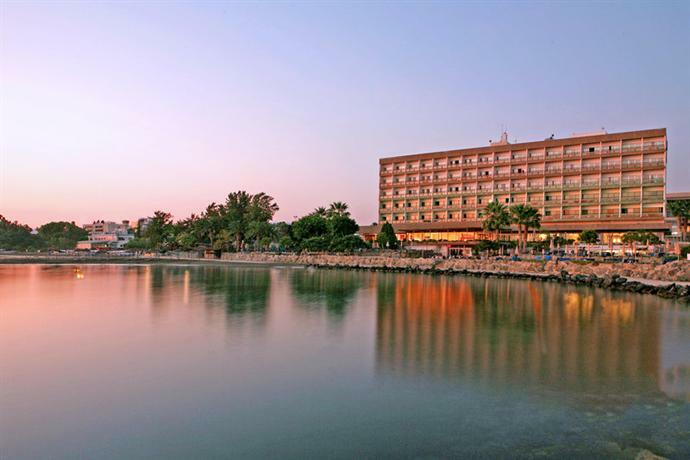 and is on the outskirts of Larnaka. Nicosia International Airport (NIC IATA) was the previous main international airport. It is SW of Nicosia is now placed on the Green Line separating the Greek and Turkish parts of Cyprus - it has been out of use since 1974. Cyprus is served by a variety of carriers, the main one being the Cypriot Cyprus Airways. There are flight connections with most major European cities, e.g. London, Birmingham, Manchester, Frankfurt, Paris, Amsterdam, Rome, Milan) and many Eastern European countries. There are also connections to almost all Middle Eastern capitals. There are no flights to Turkey from the south. There is a frequent and cheap (€1.50) public bus connection from the airport into central Larnaca, but it is poorly indicated. The bus stop is at the departure hall level (upstairs) and shows a sign with a series of three digit bus numbers. Buses go to "Finikoudes", at the beach in Larnaca where buses to other destinations in Cyprus leave (see "getting around" section). There is also a direct Larnaca Airport - Nicosia, Nicosia - Larnaca Airport Bus service provided by Kapnos Airport Shuttle. The journey takes around 30-45 minutes (depending on the traffic and the hour), and a one way ticket costs €8 per person. There are bus routes throughout the night. More information about the service and the timetable can be found at the bus service website. There are also charter flights to 2 Paphos Airport (PFO IATA). west of Paphos. Occasional ferries connect Cyprus to Greece. Services to Israel and Egypt have been terminated for the time being; however, there are 2 and 3 day cruises running in the summer months from about April to October and they take passengers one way between Israel and Cyprus. These mini-cruises also run to Syria, Lebanon, Rhodes, the Greek Islands, The Black Sea and The Adriatic. The ferry service from Greece runs from Piraeus, Rhodes and Ayios Nikolaos in Crete to Limassol. You may also catch a freighter from Italy, Portugal, Southampton and various other European ports. See Grimaldi Freighter Cruises providing you with the opportunity to bring a vehicle to Cyprus throughout the year. There is a regular ferry service between Kyrenia ("Girne") and Turkey: to Ta?ucu all year, and to Alanya and Mersin summer only. See Northern Cyprus for times. Prior to Cyprus's accession to European Union, evidence of entry to Northern Cyprus resulted in denial of entry to the Greek part of Cyprus at the very least. After the accession, and according to EU legislation that considers Cyprus to have been admitted in full, an entry to the Turkish part is formally an entry to whole Cyprus and must therefore not result in any disadvantage to travelers from the EU. Travelers from non-EU member states (as, for instance, Turkish citizens) must enter the island via one of the legal - according to the Republic of Cyprus - entry points (i.e. entry points in the Southern part of the island) in order to visit the Southern part. Different entities and web pages claim different things. But there are examples (from 2012) of people entering Northern Cyprus from Turkey, crossing the border without any problems, although it was noticed when leaving Cyprus. Ledras Str. (foot only) - a pedestrian crossing at the old dead-end of the most popular street of Nicosia. In 2012, crossing the green line was very simple. The visa form to be completed is very basic (barely usable as a souvenir!) and requires only the name, the nationality and the passport (or identity card) number to be entered. Then it is stamped, and the whole procedure should take no more than three minutes. Upon return, it is stamped again. There is a comprehensive network of bus routes that cover all Cyprus. Use Cyprus By Bus to plan your journey using buses in Cyprus. Services run every half-hour or so from 6 or 7AM, but terminate at 5 or 6PM on the dot. You can book a taxi to pick you up anywhere and ask to be dropped off anywhere in city limits; the flip side is that it will often take you longer to get in or out of the city than the journey itself! Figure on £4-6 for a taxi ride on any of these, with an increased price on Sundays and holidays. Also known as a service taxi. Car hire is the easiest (but the most expensive) way to get around the island. Companies will typically not rent cars for fewer than three days, although some international vendors (Budget) will offer one or two day service for a high fee. Renting in advance can be beneficial as walk-in options are obviously limited to available cars. Cypriots drive on the left side of the road, in keeping with British and British Commonwealth practice. However, driving standards are poor. Drivers attack their art with an equal mix of aggressiveness and incompetence and view road rules as mere guidelines. Some main roads do not even have road markings and people often sound their horn, especially in Nicosia. Take care when crossing the roads, and even greater care when driving on them. Highways are generally of excellent condition and quite traversable, but other roads vary greatly in quality. As with surrounding countries, rental cars frequently use diesel fuel and manual transmission rentals are cheaper than automatic transmission, although not typically only by a few euro. Hamam Omerye in Nicosia, Cyprus is a 14th Century building restored to operate once again as a hammam for all to enjoy, relax and rejuvenate - it is indeed a place to rest. Dating back to French rule and located in the heart of Nicosia's old town is Hamam Omerye - a true working example of Cyprus' rich culture and diversity, stone struggle, yet sense of freedom and flexibility. The site's history dates back to the 14th century, when it stood as an Augustinian church of St. Mary. Stone-built, with small domes, it is chronologically placed at around the time of Frankish and Venetian rule, approximately the same time that the city acquired its Venetian Walls. In 1571, Mustapha Pasha converted the church into a mosque, believing that this particular spot is where the prophet Omer rested during his visit to Lefkosia. Most of the original building was destroyed by Ottoman artillery, although the door of the main entrance still belongs to the 14th century Lusignan building, whilst remains of a later Renaissance phase can be seen at the north-eastern side of the monument. In 2003, the [EU] funded a bi-communal UNDP/UNOPS project, "Partnership for the Future", in collaboration with Nicosia Municipality and Nicosia Master Plan, to restore the Hamam Omerye Bath, revitalising its spirit and sustaining its historical essence. The hamam is still in use today and after its recent restoration project, it has become a favourite place for relaxation in Lefkosia. In 2006 it received the Europa Nostra prize for the Conservation of Architectural Heritage. There are over 60 churches scattered across Cyprus with wall paintings, of which the ten churches in Troodos Mountains are inscribed on the UNESCO World Heritage List as Painted Churches in the Troödos Region. 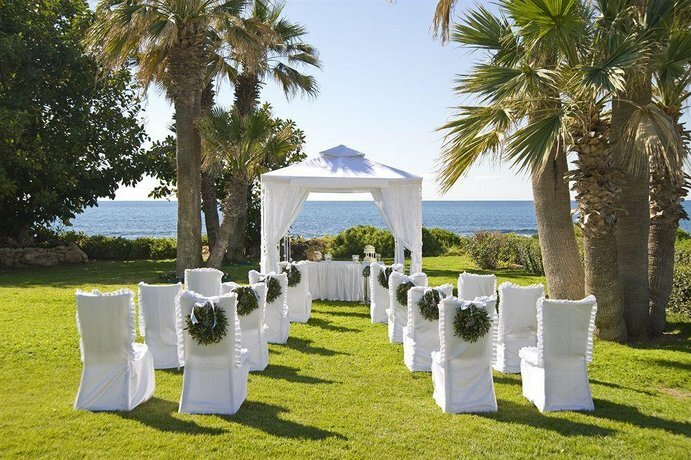 Mixed-religion couples from countries such as Israel, Lebanon and Syria, who do not have access to non-religious marriage ceremonies at home, often choose Cyprus for wedding travel, as they can tie the knot in a same-day civil ceremony. The official languages of Cyprus are Greek and Turkish. Greek is spoken predominately in the south and Turkish is spoken predominately in the north. English is very widely spoken by locals of all ages because of previous British rule. Other common languages spoken on the island are French, German and Russian. 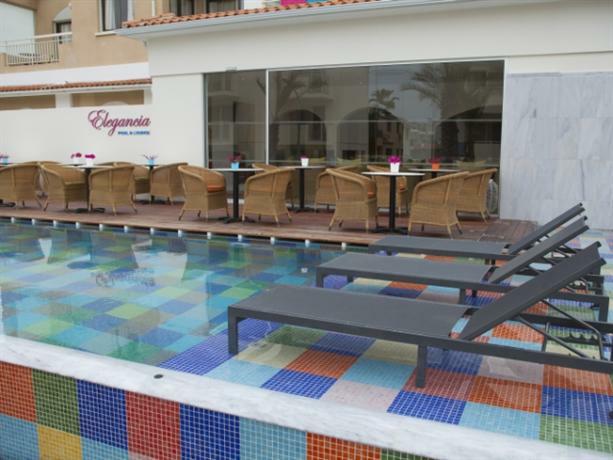 Cyprus has always been a relatively expensive destination. Except for some agricultural products, practically everything has to be imported. 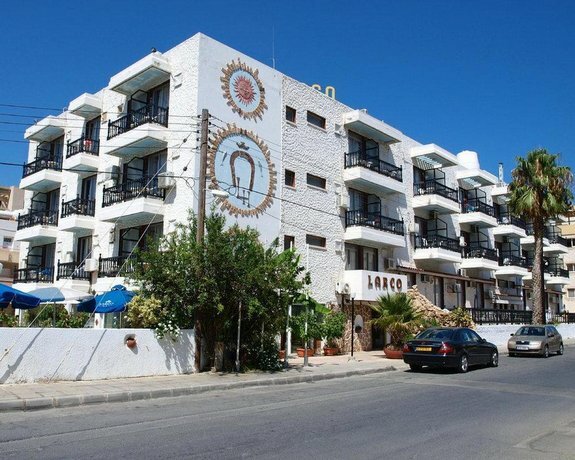 The cost of living in Cyprus is comparable to Central Europe, especially in the tourist centers. Price examples: National Beer cost €3 to €3.50 euros, a pack of cigarettes €4, a hamburger €5-€7, squids about €10, a steak around €20. Away from the tourist hotels and beaches the prices are much more moderate. Cyprus uses the euro, like several other European countries. One euro is divided into 100 cents. The official symbol for the euro is €, and its ISO code is EUR. There is no official symbol for the cent. If you have any old Cypriot pounds lying around, the Central Bank of Cyprus in Nicosia will exchange them at a rate of CYP 0.585274 per €1 until 2017. Northern Cyprus uses Turkish lira (TRY). Euros are generally also accepted in the tourist centres, but at the unfavourable rate of €1 buying 2 TRY rather than ~2.4 TRY. There are many ATMs in the North too. Cypriot meze (appetizers akin to Spanish tapas) are an art form, and some restaurant serve nothing but. Meze are available in a meat variety or fish variety but quite often come as a mixed batch, which is rather pleasing. Kleftiko roasted lamb with flavours of herbs and lemon. Shoushoukos is a traditional sweet made out of grape juice. A series of almonds are thread with a needle and they are then dipped into the grape juice several times until it becomes quite thick. Palouzes/Kiofterka are both traditional sweets made out of grape juice. Palouzes is a pudding made with grape juice, flour and different flavorings. Kiofterka are made from any leftover pudding. They cut it into pieces, put them to dehydrate and the final result is a hard but chewy thing. 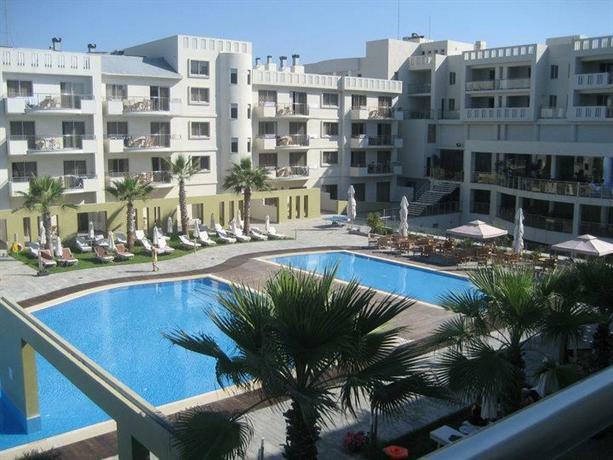 There are countless hotels and hotel apartments of varying degrees of luxury within Cyprus. 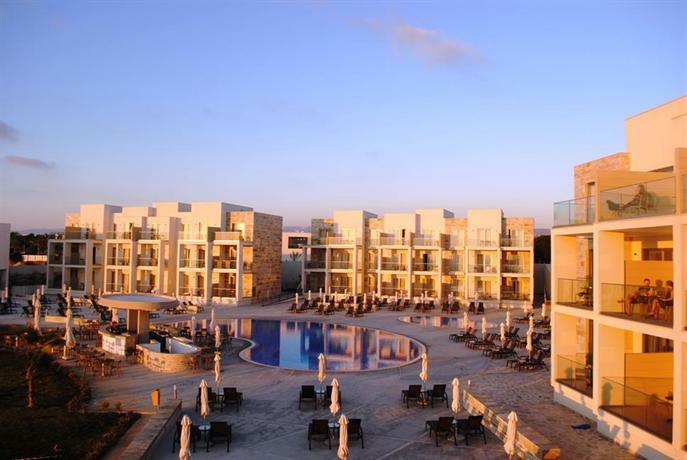 Some of the hotels are: Kefalos Beach Tourist Village, Holiday Inn, Le Meridien, Hilton, Elias Beach Hotel. Alternative self-catering accommodation is offered in restored traditional houses in picturesque villages all over Cyprus through the government Agrotourism initiative. Cyprus' climate and natural advantages mean that there is always a steady supply of travellers seeking employment and residency on the island. Perhaps the biggest change that has occurred in recent years has been the accession of southern Cyprus to the European Union on 1 May 2004, opening up new employment opportunities for European citizens. The burgeoning Cypriot tourism industry, however, means that there is a huge seasonal demand for temporary workers of most nationalities during the summer months, with a definite preference for English-speaking workers in order to service the very large numbers of British tourists. The Greek Cypriot South remains the best overall bet for jobs, as the South is where the majority of the tourist trade is located. The Turkish North is much harder to get work in as a traveler, as the local economy is in a precarious position and high local unemployment means competition for work is fierce. Finally, Cyprus' ongoing construction boom in tourism infrastructure results in a demand for skilled builders and tradespeople. Cyprus is a remarkably safe country, with very little violent crime. Cars and houses frequently go unlocked. That said however, it is wise to be careful when accepting drinks from strangers, especially in Ayia Napa, since there have been numerous occasions of muggings. The hunting season in Cyprus is from November till February. There are around 59000 hunters with licenses. On Sundays and Wednesdays you have to be careful when going for a walk in the countryside. Note that many hunters don't respect the areas where hunting is forbidden. Cypriot hunters are known to drink alcohol before and during hunting. Keep your dogs and children safe. Tap water in Cyprus is potable, but tastes bad and may give you an upset stomach at first because of all the minerals. It is best to avoid discussion of the various merits of the Greek-Turkish divide and events beginning in 1963 in some quarters. Any sully of Archbishop Makarios will be looked down upon. Internet access is increasingly available in tourist centres in the guise of Internet cafés and side rooms equipped with monitors. Prices vary, so shop about. €2 an hour seems average, but you can do better. Many cafés now offer free wi-fi access and hotels and resorts often offer Internet access to their guests. Beware that Greek Cyprus celebrates Easter on different dates than Western Europe, in most years. On Easter Sunday, many museums etc. are closed, and buses run reduced services in some places even until Easter Tuesday. Cyprus operates on a 230 V, 50 Hz electrical system using the BS-1363 3-pin British plugs. Europlug adapters are widely available in local stores. Cyprus is an independent country that continues to be divided into two de facto autonomous areas and, contrary to United Nations resolutions, into two separate zones. The Government of the Republic of Cyprus, the internationally recognized authority, exercises control only in the Greek Cypriot southern part of the island. The northern area operates under an autonomous Turkish Cypriot administration. As Canada does not recognize the Turkish Cypriot administration, assistance to Canadians in the northern area of Cyprus could be limited. The crime rate is low but on the rise. Petty crime such as pick pocketing and purse snatching is prevalent, particularly in urban areas. Exercise caution as driving standards are poor. While modern highways link the major cities, rural and mountain roads are often narrow, winding and poorly maintained. Enforcement of traffic laws and regulations is inconsistent. Running of red lights, speeding and tailgating are common causes of accidents. United Nations peacekeeping force patrols the “green line” between the Republic of Cyprus in the southern part of the island, and the Turkish Cypriot northern area. You can cross the green line in both directions at designated crossing points, including at pedestrian-only Ledra Palace and Ledra Street checkpoints in central Nicosia. Demonstrations and strikes occur periodically, and have the potential to suddenly turn violent. Avoid all demonstrations and large gatherings, follow the advice of local authorities and monitor local media. Strikes may occasionally interfere with services, such as public transport. Public buses are limited but taxis are widely available. Rail service is non-existent. Be aware that some bars and “cabarets” have been known to overcharge customers for drinks. Customers who refused to pay the bill have been threatened. Dial 112 to reach emergency services. For police or emergency roadside assistance, dial 199 in the Republic of Cyprus and 155 in the Turkish Cypriot area. Satisfactory to good medical care is available at government hospitals and private clinics. Medical services in northern Cyprus can be more basic than those available in the Republic of Cyprus. In the event of a serious accident or illness, medical evacuation may be necessary. Canadian citizens with dual citizenship may be subject to compulsory military service and other obligations imposed by both the Government of Cyprus in the south and Turkish Cypriot authorities in the north. To determine your status, visit a consulate of the Republic of Cyprus in Canada. Penalties for possession, use or trafficking of illegal drugs are strict. Convicted offenders can expect jail and heavy fines. There are restrictions on photographing military installations in both the north and south. English-language signs are generally posted in sensitive areas advising of the restrictions. Regardless of whether signs are posted, refrain from photographing military installations or personnel and comply with all requests from local authorities regarding the use of photographic equipment. Homosexual activity is legal but is not widely accepted in Cypriot society. Liability insurance is mandatory. Vehicle insurance purchased in the Republic of Cyprus is not valid in the Turkish Cypriot area. A specific insurance is required by the Turkish Cypriot administration, including when driving rental cars. Seek independent legal advice if you consider the purchase, rental, advertisement or promotion of property in areas that are not under the effective control of the Government of Cyprus. You may become the target of civil lawsuits and your ownership and involvement with that property may be challenged by Cypriots displaced in 1974. The currency of the Republic of Cyprus is the euro (EUR). Credit cards are widely accepted. Traveller’s cheques can be exchanged at most banks. Automated banking machines (ABMs) are available. The euro can be used in transactions in the Turkish-occupied areas although is not officially circulated. The new Turkish lira (YTL) is also in circulation in those areas. Cyprus is located in an active seismic zone. Beware of strong seas and undertows and take note of warning signs on beaches.